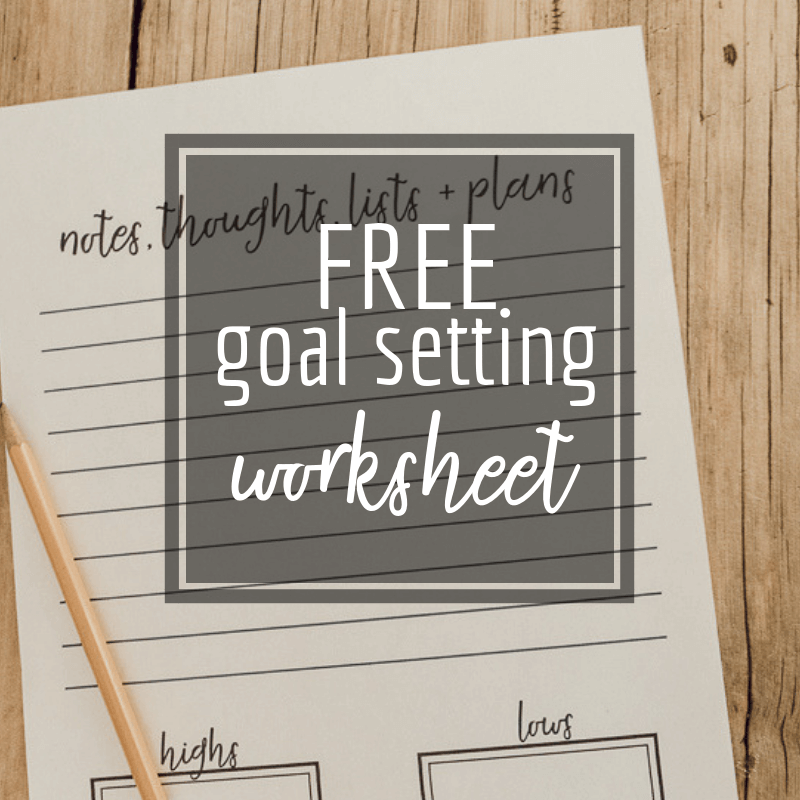 If you struggle to keep goals like I do, maybe try this FREE printable goal setting worksheet and add a bit of organization to your life this year! So, its been a minute since New Years….and I was wondering today.. how many of us made goals and how many are still following through on them? I for one, never make New Years resolutions. I make goals at usually about a month before the end of the year that I can work through, get used to, and then hopefully by the New Year I am in a position to continue that goal. 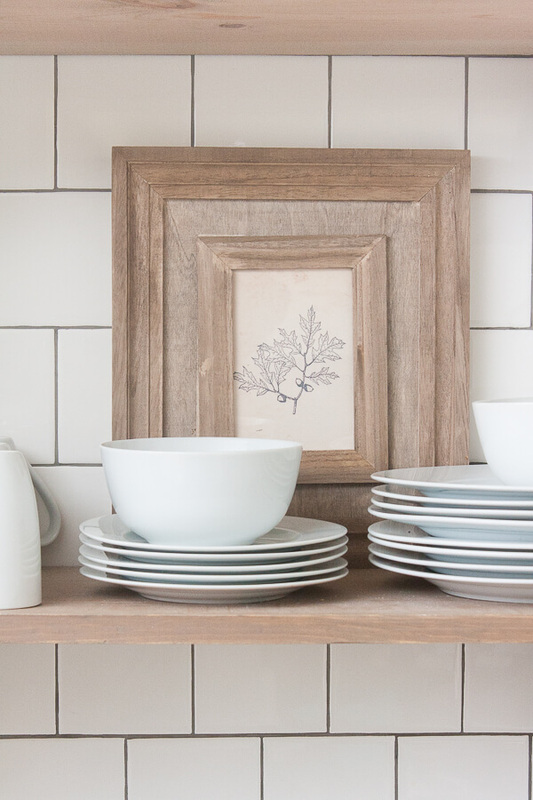 ​Keep my home more organized and clean. (With 4 kids, a dog and another large kid in terms of my husband) I find keeping things together to be rather difficult. Especially since I work from home. 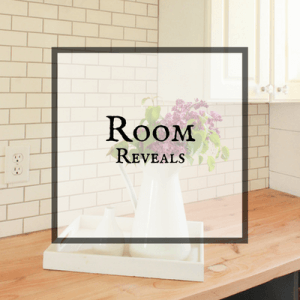 I have a few things that make my life a bit easier….here is one that I just posted about the other day. Have more patience. Heaven knows I need more patience! I know that sometimes it takes time to accomplish things, and that sometimes it may take months, even years! Pray that I will be able to accomplish this one. Spend more time with my kids travelling and enjoying them. 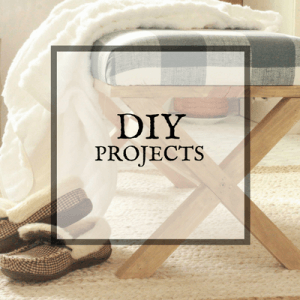 I have been toying around with the idea of adding some travel posts to my website. I hope you’ll find them interesting and fun! Worry less about what others think. This has to be the biggest reason I hold myself back on my blog, my social media channels, and just in life in general. I have a hard time putting myself out there and really need to stop worrying so much and just have fun! Get into shape. I have worked hard over the past 6 months to really devote time to getting into shape. My goal now is to take it to the next level, build muscle and improve my diet. Along with these goals, I love to make monthly goals. Heck, sometimes I am making weekly and daily goals. 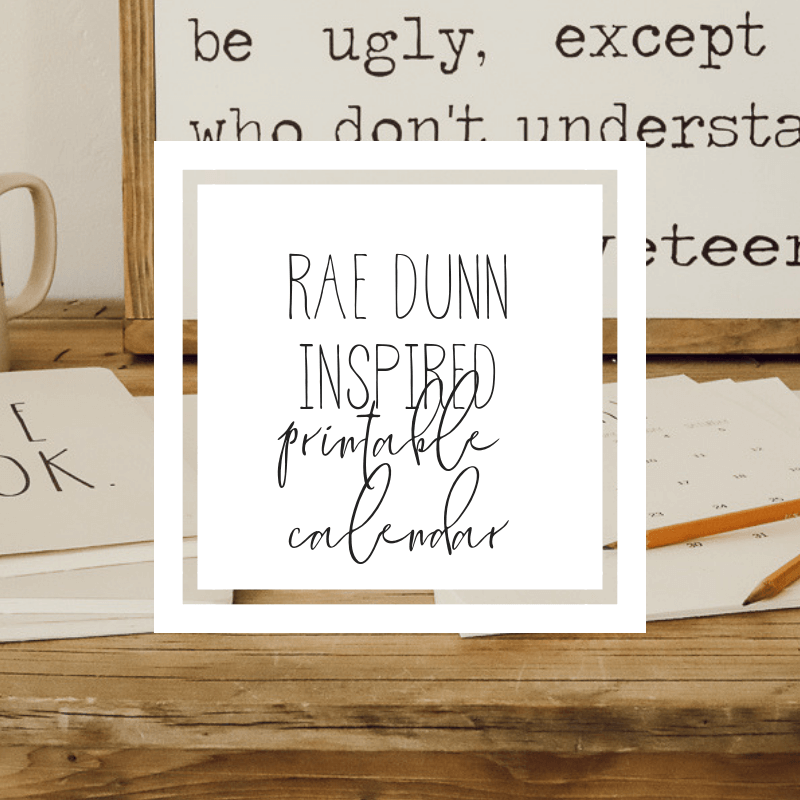 That is why I decided to create my own very simple goal setting worksheet that you can have for FREE! I like to keep my paperwork simple. If there are too many moving parts, I tend to back out and walk away from it. For me, a simple worksheet that I can use at a glance is all I need. 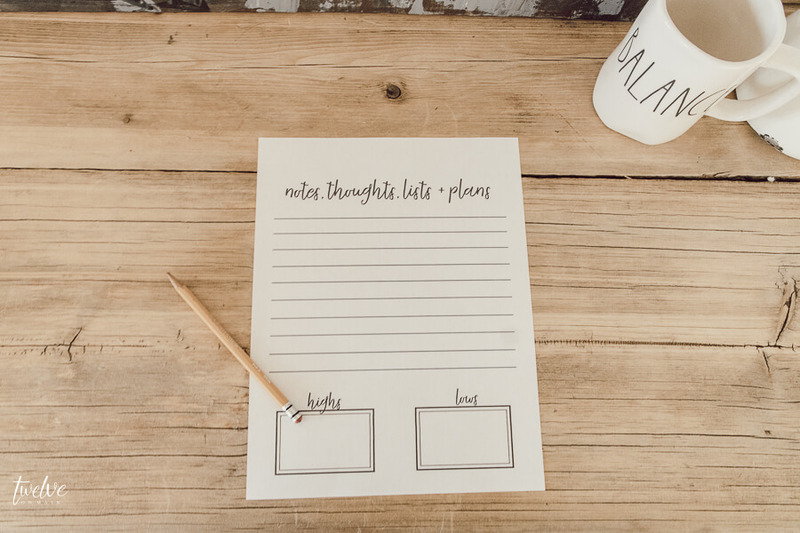 This printable worksheet provides a place to jot down those goals, thoughts, lists, and anything else you might want to use it for. I print off a bunch of these at a time and use them sometimes daily, weekly and monthly. One thing I love to do with my kids and myself is to talk about what was our HIGH and what was our LOW for that day, or for that week, or even for that month. I love writing these down. So, there is a spot to jot down these on the worksheet. I love to go back and see what my highs were on days I get discouraged. And the same applies to the LOW. I love to see how far I have grown, or maybe how little i have grown from those lows. 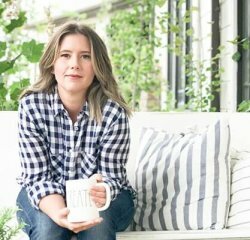 Either way, this is an excellent practice in learning to recognize and prioritize your life. We like to talk about our highs and lows at dinner. Its a place where the kids can discuss their accomplishments and their failures. Its a really positive experience. 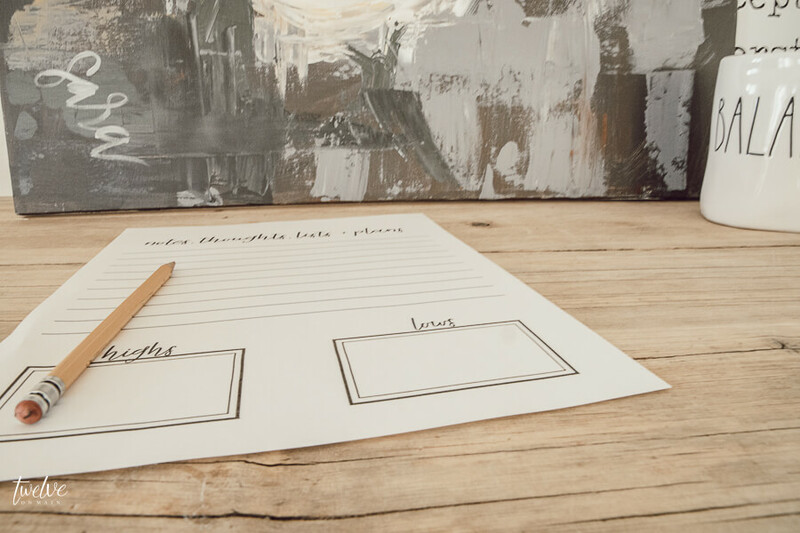 So, if you are looking for something just to help you keep those goals, try this goal setting worksheet out. 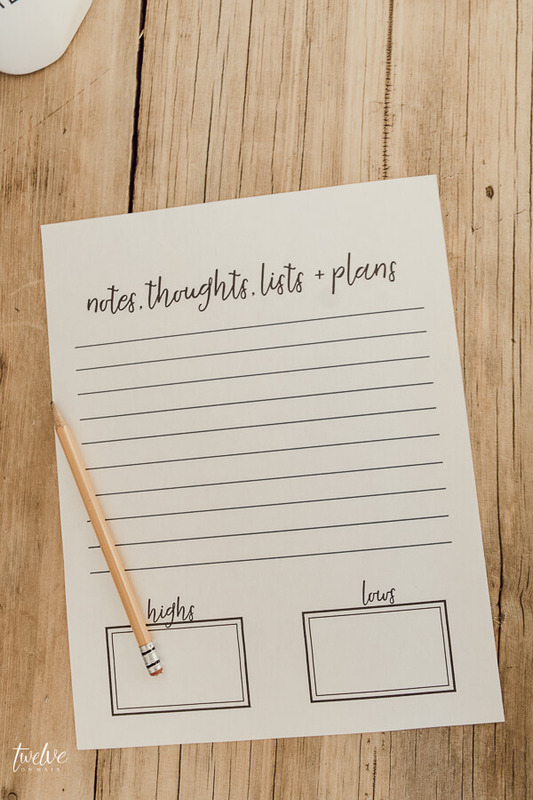 Maybe you just want something to jot down those weekly list, and that’s great! 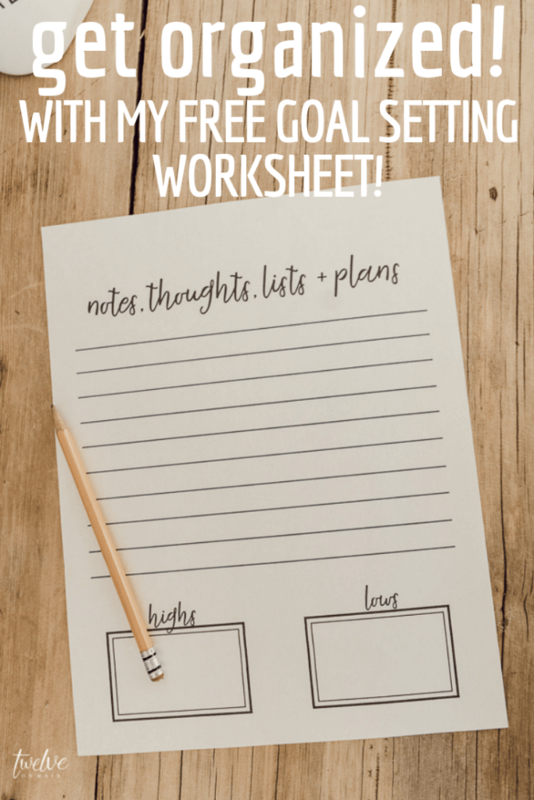 Now how do you get this FREE goal setting worksheet? All you have to do is sign up! 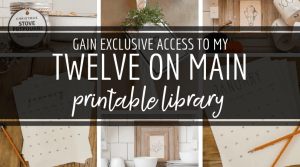 Join over 10,000 other avid readers who get my weekly emails full of exclusive tips, deals, and fun ideas! 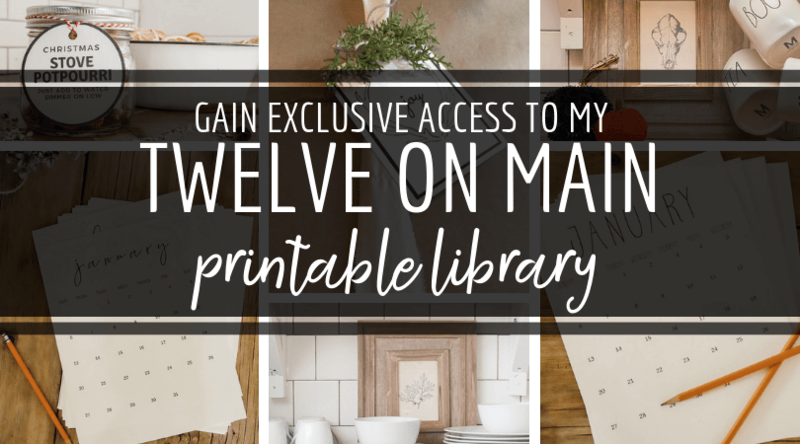 By signing up you will gain access to my Exclusive Printable Library! You will have access to my entire library! 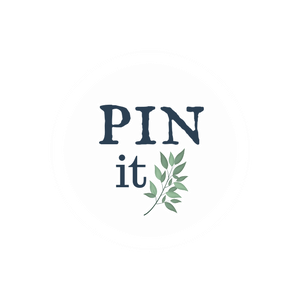 If you are already a subscriber, you already have the information to get the printable. Click the link above or the image below to sign up! 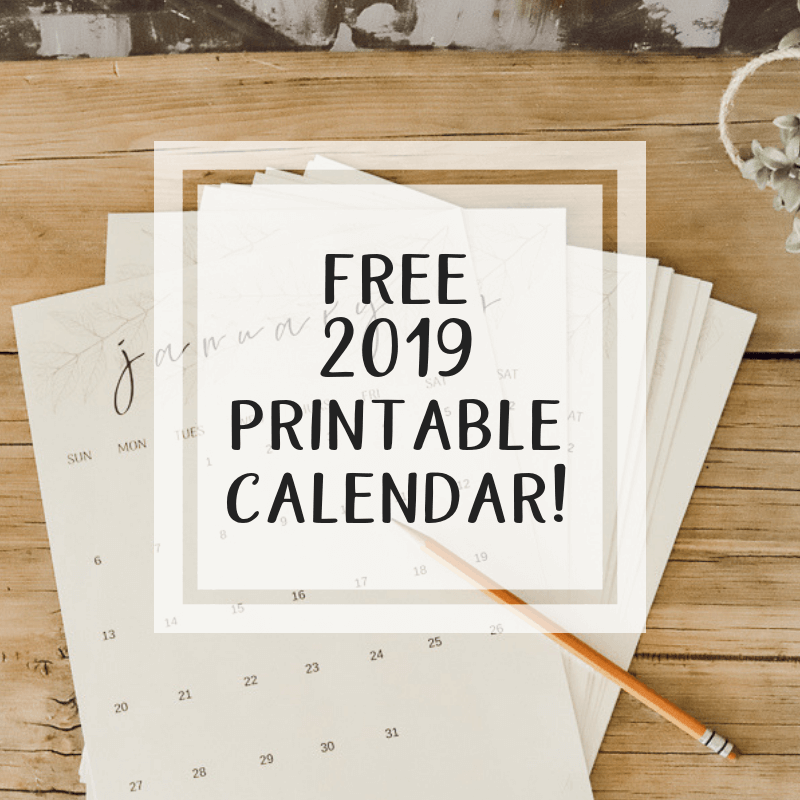 I have many printable calendars as well as printable artwork that is only available to my subscriber list! So make sure to check some of them out as well! Make sure you save this post for later and share it with friends!